When an opossum enters your house or property, you should not panic since they are not likely to attack. They can bare their teeth to display a threat, but they cannot bite or lunge, and they are commonly known to play dead when they face some uncertainty. When it comes to getting an opossum out of the walls of a house, you do have a few options. You can use a tool like a snare pole to grab the animal in the wall and bring it out, or you can set a trap to try to capture the animal. You could also open the doors and wait for it to walk out on its own, although other animals may take this as an invitation to come on in. When it comes to an opossum, they like to live in the walls of structures more often compared to other wildlife. This is because the opossum like to be in tight areas. Sometimes baby opossums may also fall into the wall from the attic. When this happens, the mother will probably be able to retrieve them and climb back up into the attic again since opossum are good climbers. If you can look into the walls from the attic, you should start there and try to determine where exactly the opossum are located within the walls of your house. If you can’t see down into the walls, you can listen for scratching sounds they may help you determine where these animals have taken up residence. If you want to prevent these animals from entering your home or property in the first place, you can put a barrier in place like a fence around the yard. The fence will not have to go too deep in the ground since opossum aren’t known to dig like armadillo or groundhogs tend to do. Also you can make sure that any holes in your house are sealed completely to avoid giving the opossum easy access to the inside of your house. 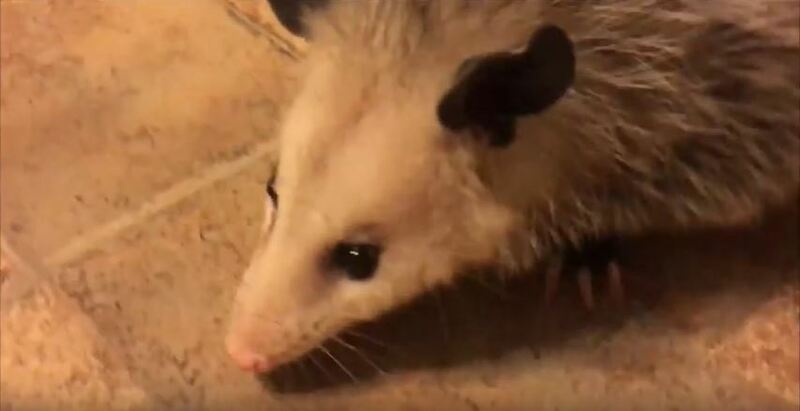 You should also remove or properly store anything that might attract opossums to your home like pet food, rotting fruits and open garbage cans. If you have one or more opossum in your walls and you are not sure what to do, you can always call a wildlife removal expert to handle the situation quickly and safely.